From our days on msn with the original emoticons to emoji's and Kimoji's and any other celeb emoji. Emoji's are everything. It seems that we can no longer type out a simple text, tweet, or insta post without them and we're always wanting more. The first annoucement of Apple's latest software update, iOS 10, came back in June and with that we knew that could only mean one thing...new emoji's! 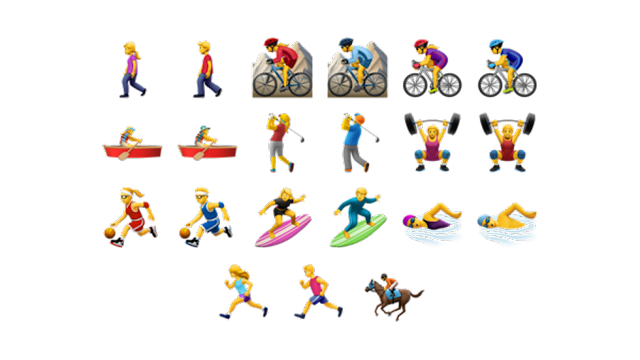 With the press launch finally happening this week on the 7th, you can expect moer than one hundred new and redesigned emoji's to be released shortly after the public launch of iOS 10. 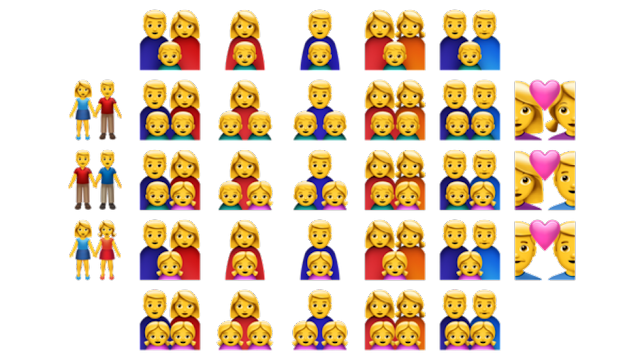 From more gender diverse emoji's to the redesign of popular emoji's to more family options, it would seem we're in for a right treat. Apple have finally seen that girls really do run the world and brought out women athletes and professionals as well as more sports to choose from; from body building to surfing and golf, and most importantly, we now have dancing bunny boys! Two of the most significant additions is the representation of single parents. 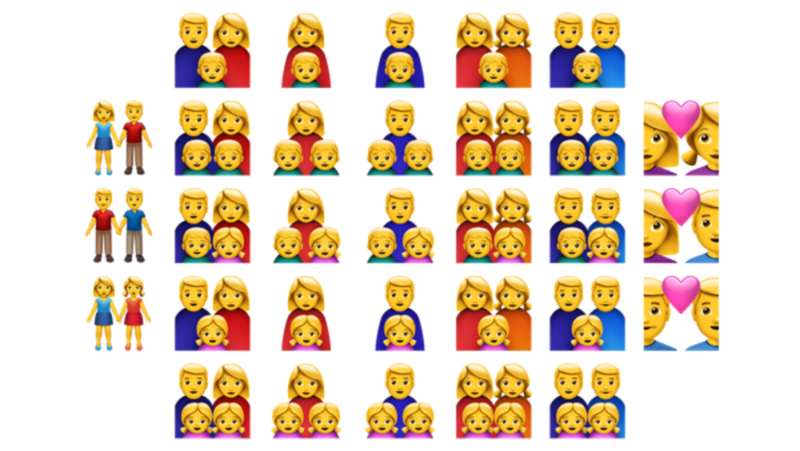 Whether you're a single mother with an only child or two children or a single father, they're now an emoji for you. The other change is the silver pistol has now been redesigned as a green water pistol. There has been no annoucement from Apple as to why this is but many people seem to believe it's down to the recent gun crimes throughout the past year.